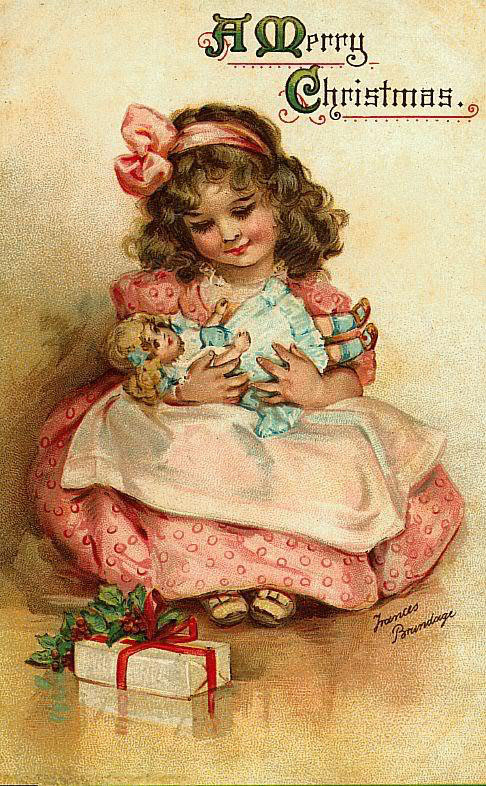 The minute she saw the doll in the store window, Sissy knew that she had to somehow get it for Hope. It looked just like her little girl. Soft brown curls, big brown eyes framed by impossibly long lashes, but even more than that, there was an angelic sweetness to her face which mirrored Hope’s countenance exactly. Sissy would stop and look at the doll every time she passed the toy store’s front window display. It was on her way to work, so she passed it twice every day. It was a constant reminder of what she so far had been unable to provide for her daughter. The pretty clothes, the latest high tech toys, not even a television were part of her little girl’s world. However, looking back at where she had come from and what she had overcome, Sissy considered herself to be lucky. Sissy had run from a very ugly world. She and her mother had bounced around from place to place, sometimes sharing a spare room in an apartment full of dope heads, other times living on the streets. Her mother had been a runaway herself, and gotten caught in the cyclone of drugs and abuse. Most of the money they came by was funneled back into her mother’s escalating drug dependence. Sissy was forced to beg on the streets for spare change. She was happy when a good Samaritan gave her food instead of money, because that alone would make it inside her stomach. Everything else was taken by her mother or one of her mother’s boyfriends. When Sissy was seventeen years old, she and her mother were staying with her mother’s boyfriend Steve in a filthy apartment with six of his friends. Sissy hated it there. She begged her mother to leave, but her mother would get a panicked look in her drawn face at the thought of leaving Steve. By this time she was so dependent on her drugs that she had to find ways of getting her fix several times a day, and Steve was in just as deep. She hardly ever ate anything, and was nothing but skin and bones. One night, while her mother was out, Sissy was alone in the tiny room the three of them shared together. Sissy did not have a bed. At night she normally wrapped herself in the only dingy blanket that wasn’t hanging over the windows to block out the lights from the street, tucked a wadded up pair of jeans under her head, and lay with her back against the wall in the far corner, trying to block out the yells and laughter that permeated from the rest of the apartment. That night, however, she was alone for once. She sat on the sagging mattress in the center of the room that her mother and Steve shared, leaning against the wall while she enjoyed a few minutes to herself and looked at an old magazine she had found in the dumpster. The glossy pages were filled with beautiful people, laughing and having fun, lounging in exotic places or flirting in brightly lit bars. Sissy wondered if people actually lived like this. She couldn’t imagine a place where everyone was beautiful and happy. Suddenly the door swung open and Steve stood there, leaning heavily against the door frame. He saw Sissy reclining on the bed and his eyes grew dark with a look that should have warned her of what was to come next. Thirty minutes later, her mother walked in to find Steve sprawled on top of Sissy on the bed, her clothes torn, her face covered in bruises. “Get out of here!” she screamed in a maniacal voice. When Sissy realized that she was talking to her and not Steve, a part of her broke inside. It was a deep, penetrating hurt, like someone had stabbed her with a dagger made of ice, so cold and brittle that it threatened to shatter her from the inside out. Sissy never saw her mother again. After discovering that she was pregnant, she spent most of her time in women’s shelters. There, she was given the opportunity to take classes and eventually got her G.E.D., allowing her to get her first real job and giving her hope that she may be able to take care of this human being growing within her womb. When her perfect little girl was placed in her arms for the very first time, tucked inside the scratchy hospital blanket, Sissy knew she had to find a way to make a good life for her and her daughter. For the first time since that night in the dingy apartment it felt like some of the ice was beginning to melt inside, all because of this precious little being swaddled up next to her heart. She named her little girl Hope. When Hope was about one and a half years old Sissy had a solid enough job to move them into an apartment of their own. It was small, but Sissy took Hope by the hand and led her around the entire space. They had no furniture, so at first mother and daughter slept on the floor, Hope’s head nestled snuggly on Sissy’s shoulder. Gradually they began to accumulate a broken chair here, a table with a wobbly leg there, a mattress someone had thrown out but still looked to be in decent shape. Sissy kept her eyes open on her way to work every morning, looking for things tossed in the dumpster or left out by the street with a “FREE” sign posted on it. She was building a new life for them, and it made Sissy feel proud when she walked in her door at night to a place that was all hers. It was the beginning of fall when Sissy saw the pretty doll in the toy store window. She was a checker at the small grocery store just up the street from her apartment. The toy store was on the way to work, so she passed by the window display every day. She wanted so badly to be able to give the beautiful doll to Hope for Christmas. Her heart sunk, however, when she saw the $25 price tag. She knew that there were other dolls that she could find for much less, but there was something special about this one. This was going to be their first Christmas in their own place and she wanted it to be special for Hope. Sissy began reserving a dollar or two from each of her paychecks, tucking them inside an empty mayonnaise jar she kept high up in her cupboard. It was difficult to even save those few dollars. She could barely pay for her rent, and then adding the cost of food and a babysitter for Hope, money was very tight. But Sissy was determined. She frequently went without dinner so that she could reserve that food for Hope to eat the next day and stretch out her meager grocery budget as much as she could. A few weeks before Christmas, Sissy was excited that she almost had enough money saved to purchase the doll for Hope. She wished they could have a Christmas tree, though. Sissy had never had one in her entire life. They had moved too much while she was growing up, and her mother didn’t care much about anything which didn’t feed her drug habit. On her way home one night she came across several evergreen branches someone had trimmed from their Christmas tree and discarded by the side of the road. Excited, she gathered them up and hurried home. Sissy and Hope spent a fun evening binding the branches together to create a makeshift tree, then decorating it with paper chains, stars and snowflakes cut out of newspaper. When the tree was complete, Sissy pulled the lamp out from their bedroom and tucked it behind the branches, making the tree look like it was glowing. The smell of the evergreen branches filled the room and Sissy didn’t think she could ever be any happier than she was at that moment, watching her daughter dance in front of the tree, her eyes glowing with excitement. At last it was Christmas Eve. Sissy got home from work and tucked her last few dollars into her mayonnaise jar. She had exactly $25, just the right amount to get the doll for Hope. She was fantasizing about how excited her little girl was going to be Christmas morning when she saw the doll’s glossy brown curls and bright brown eyes, when there was an insistent knocking at her door. No one ever came to her door, so the sound startled her. She looked through the peep hole and saw a short, balding man with a large nose. It was her landlord. “Yes, yes,” Mr. Bernard said gruffly, and he shoved the door fully open so he could walk into the tiny front room that served as living room, kitchen, and dining room all in one. He seemed to look around the apartment for a bit, grunting when he saw the humble Christmas tree covered in paper decorations. Sissy let out an involuntary gasp. “But what if I can’t pay you the $25?” she asked, her voice beginning to waver. “Then I will have to kick you out and place a tenant here who is willing to pay the full rental amount!” he bellowed in response. A single tear began to well up in Sissy’s eye until a blink released it, sending it on a winding course down her cheek. Mr. Bernard seemed to consider her for a moment, and then took a few steps toward Sissy. Not liking the way he was looking at her, she backed up until she was leaning against the wall. The stocky man placed his wide hand on the wall next to Sissy’s ear and leaned in closer. “Of course,” he said quietly, “I can think of an alternate way for you to make payments to me, if you can’t come up with the extra money.” He stroked the length of his mustache, tracing around his mouth. Sissy’s stomach turned. Suddenly there was a whimper which came from the doorway to the only bedroom. It was Hope, standing there with a scared look on her face. Sissy had almost forgotten that she was not alone with this man. She couldn’t allow Hope to see anything so ugly, so she plucked up her courage to shove him away. The motion seemed to fire up her instincts. She looked at the man with disgust. “I will get you your money, Mr. Bernard,” she said coldly, and felt the strength of steel resonate in her voice. She turned toward the cupboard where she had the hidden mayonnaise jar. Mr. Bernard grunted and swiped the money from her hands. He turned and left, closing the door with a solid bang. The strength that Sissy felt previously seemed to evaporate away, leaving her feeling weak and tiny. She slumped to the floor and let the tears begin to fall. Hope padded over to her mother and touched her softly on her cheek. “Mamma sad?” she asked in her lilting toddler voice. Sissy turned on the lamp behind their little tree and pulled Hope onto her lap. She sang Christmas carols softly in her ear until finally the girl drifted off to sleep. It was only then that Sissy allowed herself to let her tears flow freely. She cried for the loss of her Christmas dream for Hope, knowing that her little girl would wake to no presents under the tree. She cried for this new predicament she found herself in, and knew she would have to uproot her daughter again to find a new home. And finally she cried for the loss of innocence spent in a lifetime of trauma and fear, wondering if she could ever make things right for Hope. She felt like such a failure. Suddenly Sissy’s eyes rose up to the star which sat on top of their tree. Sissy had spent the most time on that ornament, wanting it to be perfect as the tree’s crowning glory. She had folded and cut the paper until it had eight crisp points reaching to the heavens. The light shining from behind seemed to make the thin paper glow with a light of its own. Sleep in heavenly peace, sleep in heavenly peace.” When Sissy got to the third verse she was flooded with so much emotion that her voice faltered, but she continued on. Although Sissy was not raised with any religion in particular, she felt with certainty there was a God. She was sure she had felt His love in her life, guiding her when she was lost and unsure where to turn next. If there was any time she needed the hand of the Lord in her life, it was now, she thought. Christmas morning dawned bright and clear. Sissy rolled over in bed to see the stream of sunlight pouring through her window. A smile broke out across her face. Sissy was laughing at her daughter’s musical stylings when there was a light knock at the door. Her stomach sank. Surely it wouldn’t be Mr. Bernard again. She went to the door and looked through the peep hole. No one was there, but there was a large box wrapped in shiny red paper sitting on her door step. She opened the door cautiously to get a better look at the package. Sure enough, it was a beautifully wrapped present, with a silvery ribbon tied in a perfect bow on the top. Sissy stepped out to look around and see if anyone was there. The streets were unusually quiet, without a soul in sight. Surely everyone was in their own homes enjoying this Christmas morning. But where did this gift come from? Hope ran up next to her to see what was happening and immediately let out a squeal of delight when she saw the shiny package. She jumped up and down gleefully and Sissy couldn’t help but laugh. “It looks like Santa found our house after all, Hope,” she said. She picked up the red box and took it inside, closing the door softly behind her. Meticulous care was taken as the two girls removed the silvery ribbon and unfastened the tape. Sissy folded the beautiful paper up carefully, wanting to treasure every aspect of this surprise gift. What could be inside? At last they were down to a plain brown box. Sissy helped her daughter open the top. Soft brown curls was the first thing she saw and her breath caught in her throat. Bright brown eyes and the silky smooth folds of a deep blue dress followed. It was the very same doll that Sissy had admired nearly every day on her way to work. But how did this happen? Who could have known? It seemed too perfect to be real. “Mamma! Dolly! Dolly!” Hope cried, snatching the doll from the box. She pulled it close to her and hugged it tight, rocking it like she would a baby doll. There was more in the box, however. Sissy moved the flaps of the box lid out of the way to reveal a kaleidoscope of brightly colored fabrics. It was a quilt, made of intricate shapes in red, blue, green and purple. Reverently she lifted the quilt from the box and stretched it out to see. It was assembled with the tiniest of white stitches, done painstakingly by hand. The fabrics were soft and the quilt had a thickness to it that indicated to Sissy how warm it would be during these cold winter nights. Who could have made such a quilt? Not only was it beautiful, but it was a work of art. Sissy wrapped the quilt around her shoulders. It smelled faintly of roses, although Sissy didn’t know what the scent was since she had never smelled a rose in her life. All she knew was that she liked it and that she felt warm and safe. Sissy spent the remainder of that Christmas Day wrapped in the warmth of her special quilt, laughing as she watched Hope play with her new doll, in awe of the wonder of the unexplained gifts. She did not know who could have given them these lovely things, but for the first time in her life Sissy felt loved. Sissy placed the silvery ribbon on the star at the top of her Christmas tree. The star seemed to dance to life, catching the rays of light that were pouring in through the front window and reflecting the light throughout the room. Sissy didn’t know what she was going to do about her rent or the landlord situation, but for today it didn’t matter. Today at least, all was right and all was good. She issued a silent prayer of thanks, then turned to play some more with her daughter. Margie was sitting in her usual location at the front window, her arthritic fingers still deftly able to make the tiny, even stitches in the quilt top she was working on, when she looked up and noticed the young woman and small child moving into the apartment across the street from her. They didn’t have many possessions. Margie could see that, since she watched the girl carry in two lumpy trash bags and that was it. Margie lived in one of the original houses on the street at the west end of town. She remembered when she could look out her window and see nothing but her neighbor’s fields. Gradually the town seemed to creep closer and closer around her until all she saw now was a row of apartment houses, and a few store fronts one block away. She missed the fragrant scents and the changing colors from the fields, going from green to yellow to brown, and finally to white after the first dusting of snow on the ground. Now there was brick and concrete, with a narrow strip of grass and spindly trees dotting the length of the road. Margie spent a lot of time at the window. Her two children were grown and gone, both having moved to distant states. She rarely saw them or even heard from them. When Margie discovered that she had yet to occupy many more years on the planet she took up hobbies to keep herself busy. She always loved to sew, so quilting became an easy obsession for her. She would sit in her favorite chair, her cat Oliver curled up underneath her elbow purring contentedly, and stitch for most of the day, or at least until her crooked fingers could do no more. The little mother across the street (for that’s how she thought of her) intrigued Margie. She never saw anyone else going into the apartment, no visitors, no mothers, no boyfriends. And she noticed the young woman’s reaction when they approached someone on the street. She would wrap her arm protectively around the little one and duck her head, as though she was afraid of anyone talking to her. “She is running from something,” Margie thought to herself. Seeing as how young the girl appeared to be and with a small child in tow, Margie could only guess as to what hardships she had had to escape from. Her heart went out to her. Margie watched the young woman as she took her daughter to a neighboring apartment every day before heading up the street. One day instead of returning back to her sewing after seeing the girl leave, she continued to watch as she walked up the street. The girl suddenly stopped in front of a store window and stood there for a long time. Margie was curious about what caught the girl’s attention so dramatically but then soon forgot. She forgot, that is, until the next day when the same thing happened. The girl stopped and looked in the front window, this time actually reaching out with her hand to touch the glass. Margie was not naturally a busy-body, but this was enough of a curiosity to spark a desire for action. Oliver gave a disgruntled meow as he was unceremoniously dumped off the comfortable recliner while Margie strained to push herself out of the chair. “Hush Ollie, Mamma’s going for a little walk,” Margie said appeasingly to the cat. She got on her long coat and wrapped her favorite scarf around her throat. It was starting to get cold out and Margie was always cold anyway. The leaves were starting to fall as Margie made her way up the street. They looked like little bits of colored paper floating around the street, too few of them to make any significant piles. The old woman remembered the piles of leaves that her husband Harold used to rake up every autumn from the huge maple tree in their front yard. He would have to clean the yard continually for several weeks, since the leaves would never all drop at once and there were also neighboring trees contributing to his own accumulation. Harold used to grumble about it, but Margie knew he loved any excuse to be outdoors. He kept their yard in immaculate shape. But Harold was gone now and so was the maple tree. Everything was different. The store front was only one block from Margie’s house. As she approached the window she knew immediately what the young woman had been looking at. There in the front window was a beautiful doll. Its features were sweet and pretty, with shiny dark curls and warm brown eyes. Margie knew why the little mother had stood so transfixed at the store front. It was the exact image of the child. Margie continued to watch as the little mother stopped at the store front day after day. She did not see her go inside the store even once, though. The colorful quilt began to take shape in Margie’s lap. As she pieced together the rich purples, blues, and reds she couldn’t help but think about the quilt that was given to her and Harold for their wedding forty years ago. Her mother had made it by hand, every painstaking stitch a story of perseverance and love. The quilt covered the top of their bed for many years until it became too worn, losing much of the cotton stuffing. Margie had always been the type of woman who people referred to endearingly as “colorful.” She had a vivid imagination and loved telling impossible stories to her children when they were young. She was drawn to brilliant hues. They made her feel happy and inspired. Including them in this quilt in particular was especially satisfying, although she wasn’t exactly sure why. Christmas Eve came and Margie received a surprise visitor. Her nephew Charlie was recently home from serving with the United States Army in Iraq, where his leg was severely injured from an explosion. Charlie lost the leg, but not his determination to make the best of his situation. He was currently on crutches, still trying to get used to being mobile with only one leg. He had been measured and cast for an artificial leg, but its arrival was several weeks away. Margie was delighted when she opened her door to Charlie’s beaming face. “Aunt Margie!” he cried, and he nearly knocked her over with the force of his exuberant one-armed hug. One of his crutches clattered to the floor, reminding them both of his change in circumstances. Margie nearly cried as she bent over to pick it up for him, barely managing to suppress her involuntary sob. She was determined to not upset him, however. Margie hadn’t seen the boy since his return from overseas. They lived several hundred miles away and she did not drive that far anymore. The grocery store, the hairdresser, and church were the only destinations she dared venture out to now. She had talked to her sister, Charlie’s mother, over the phone extensively after they were notified of his injuries. His mother, who had an anxious tendency, had gotten Margie worked up to the point that she thought he must be knocking at death’s door. But the Charlie who stood in front of her on Christmas Eve was far from it. His cheeks were ruddy from the winter wind, making his green eyes seem to shine even more than usual. He pulled his stocking hat off his head, revealing his sloppy mess of light brown hair. Margie couldn’t help herself. She reached out and ruffled his growing shag. Evidently Charlie had given up on his military cut. His aunt approved. His curling locks suited him better. Charlie sat with Margie for several hours in her front room. She tried asking him about the attack which resulted in him losing his leg, but he wasn’t ready to talk about it yet. From the haunted look that passed over his eyes Margie concluded he was more wounded than he liked to show, maybe even more than he was ready to acknowledge to himself. It would come with time, she knew. Instead, Margie began telling Charlie about the little mother who she had been observing for most of the year. She told him about the child and how sweet it was to watch her playing with her mother in the small patch of grass in the front of their apartment. She also voiced her concern for their welfare, as she had never seen a visitor for them, not even once. The sun began to set and Margie noticed the young woman hurrying up the sidewalk toward the apartment complex. She had never looked so happy before. Margie wondered what could have happened to put such a smile on her face. She pointed her out to Charlie and noticed with satisfaction the way his face lit up when he saw the pretty young woman. “What’s her name?” Charlie asked his aunt, watching as the girl opened her door and went inside her apartment. “There’s no time like the present!” Charlie announced and Margie had to laugh. While Margie was getting her coat and scarf Charlie noticed a man marching up the apartment steps and knocking solidly on the door. “It looks like she has a visitor now,” he said. Margie scurried over to the window to see what her nephew was talking about. “Oh, that’s just Mr. Bernard, the landlord,” she replied and finished wrapping her scarf around her throat. “Well, he doesn’t look too nice, does he?” Charlie muttered. Charlie and Margie made a clumsy pair as they made their way across the street, an old woman leaning into the support of a man with one leg. As they approached the staircase to the apartment complex Mr. Bernard came out of the young woman’s apartment, banging the door after him. He turned so violently that he almost ran into Margie. He mumbled through a gruff apology. “What seems to be the matter, Mr. Bernard?” Margie asked him while she repositioned her scarf. “It’s nothing, nothing,” the landlord muttered. “She’ll be out by next month anyway. Good riddance to her and her little brat.” Then he stomped off down the street. Margie looked at Charlie, a worried expression on her face. He had noticed the wad of bills stuffed in the man’s fist and wondered what was going on. “This doesn’t look like a good time for a social call,” she said. Charlie agreed, and they started heading back home. Just as they were about to cross the street, however, Charlie stopped abruptly. Thirty minutes later the two were back at Margie’s house, giggling like little kids. Margie found a box that was the perfect size, along with some pretty red paper. Charlie tied the bow. When Margie decided she should include the recently completed quilt with the gift, something inside her seemed to click into place. She realized that she had been making the quilt for the young woman the whole time but just didn’t know it. Now it felt right, like it was meant to be. She hoped that the girl would feel the love that went into every tiny stitch. Margie suppressed a smug smile. Christmas morning came, and after Margie had sufficiently spoiled her nephew with a breakfast fit for a king, they decided that it was time to deliver the package. Margie waited in her front room, watching as Charlie awkwardly made it across the street, the shiny red box under one arm and a crutch under the other. He deposited the package at the young woman’s front door and knocked. She couldn’t help but laugh out loud, her hand over her mouth in anticipation, as Charlie made his way down the steps and crouched behind a car parked on the street. He barely made it before the girl opened the door and stepped outside. She looked around curiously, and then was joined by her daughter. The two of them took the package inside and shut the door. It took a long time for Charlie to make it back to the house. He sat for a while behind the car and Margie wondered what was taking so long. Finally he opened her front door. “Well?” she asked, and then bit on her lip when she noticed Charlie’s eyes glistening with tears. It took him a few moments before he was able to respond. As Margie went into the kitchen and warmed up a pan of milk, Charlie looked out the window at the apartment across the street. He could see a tree in their front window, with light glowing around it. Suddenly his eyes were caught by the silvery sparkle of something shimmering at the top of their tree. It seemed fitting, he thought, that a beautiful glowing star would shine over the home of two angels, almost as though they were being watched over and protected. He knew that he would be visiting again very soon.